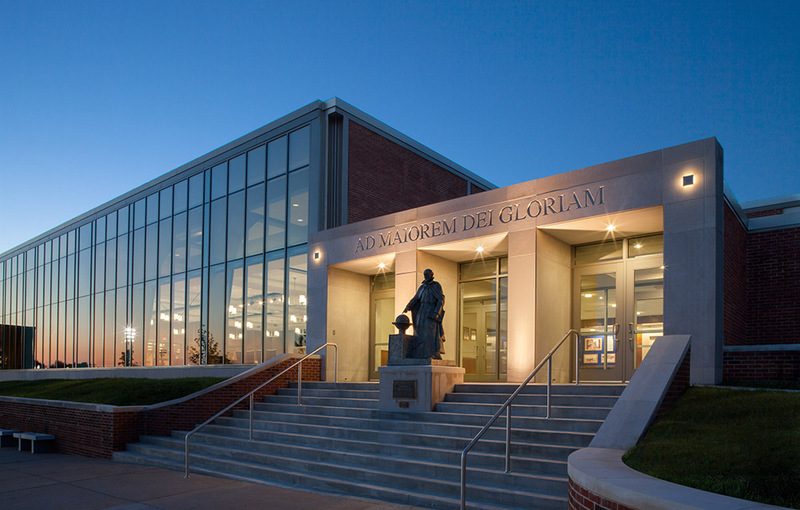 Cor Jesu Academy is a Catholic college preparatory high school for young women located in St. Louis, MO. 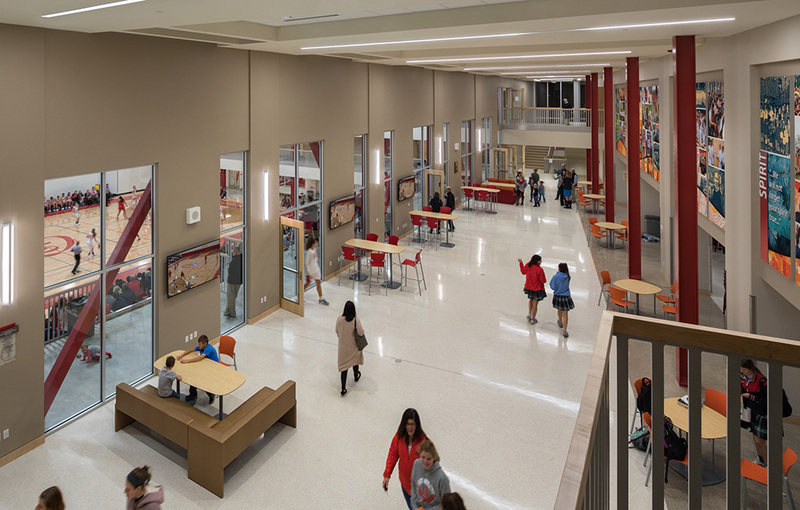 In an increasingly competitive secondary-school market, Cor Jesu wished to stay at the forefront and commissioned Hastings+Chivetta in 2013 to update its master plan. 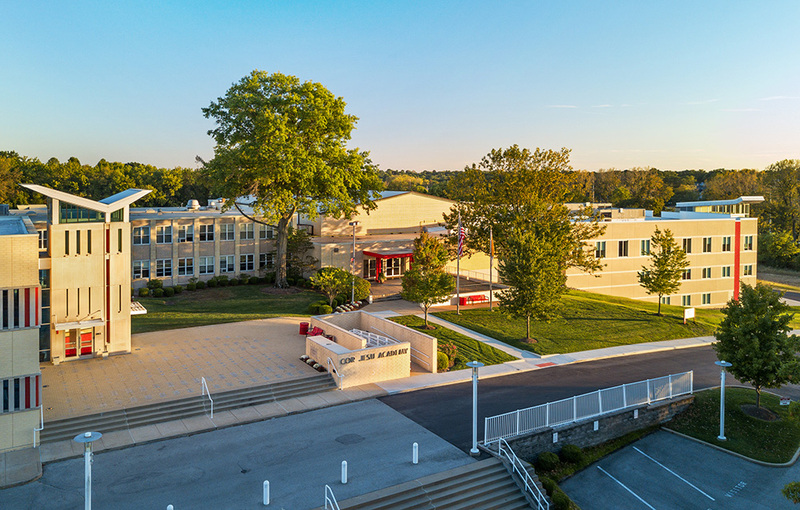 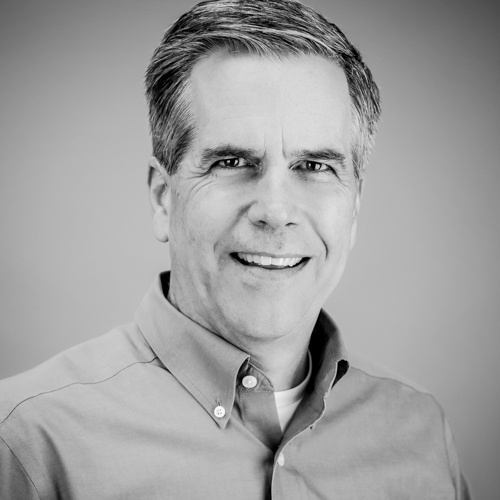 This master plan guides the school’s development for the near-term and into the future and puts the school on a path for continued growth and success. 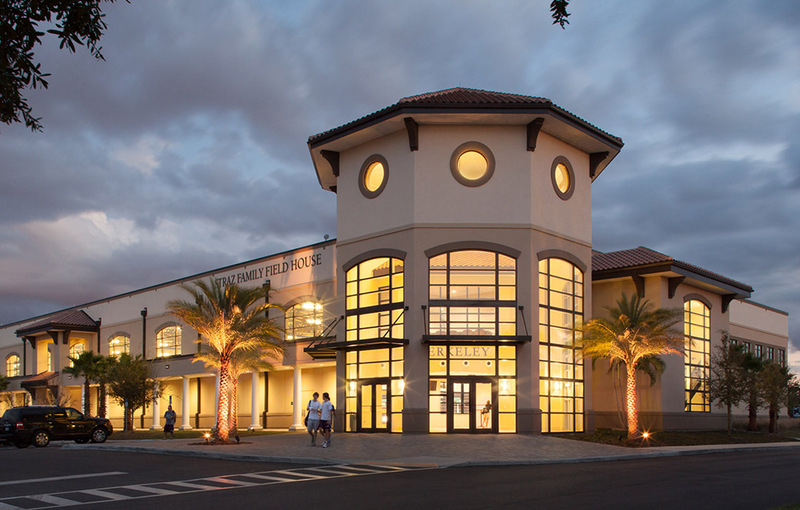 With the acquisition of 10 acres of land in 2012, the school was poised to begin the process of building a new Multi-purpose Gym and Student Commons addition, part of the master plan, designed by Hastings+Chivetta. 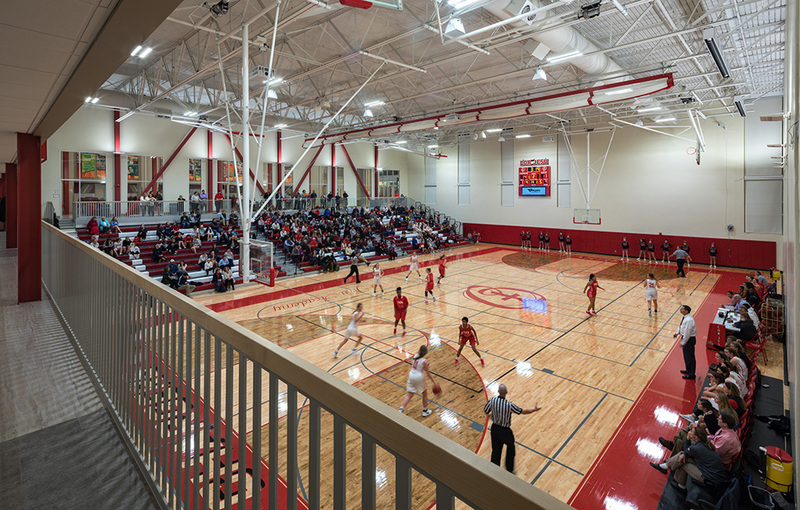 The innovative new space allows Cor Jesu the opportunity to provide new courses and state-of-the-art learning as well as grow the school’s athletic program. 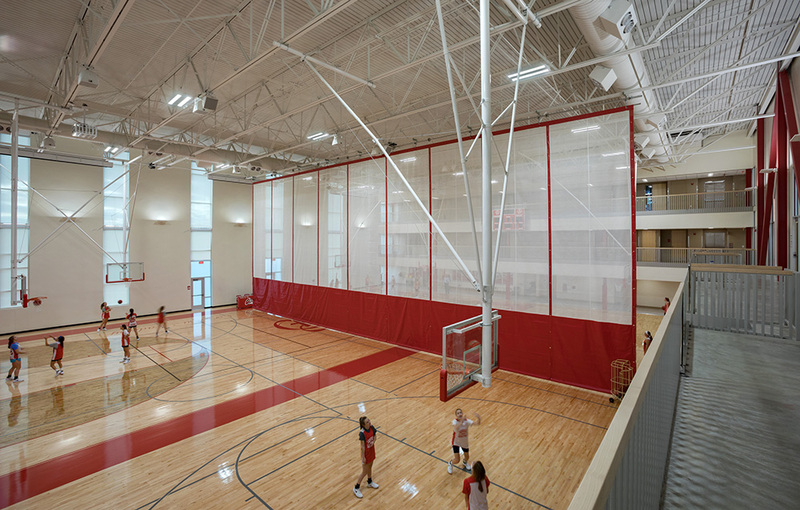 The Performance Gym features two full courts on the first floor for basketball and volleyball, with retractable bleachers and weight training and workout rooms. 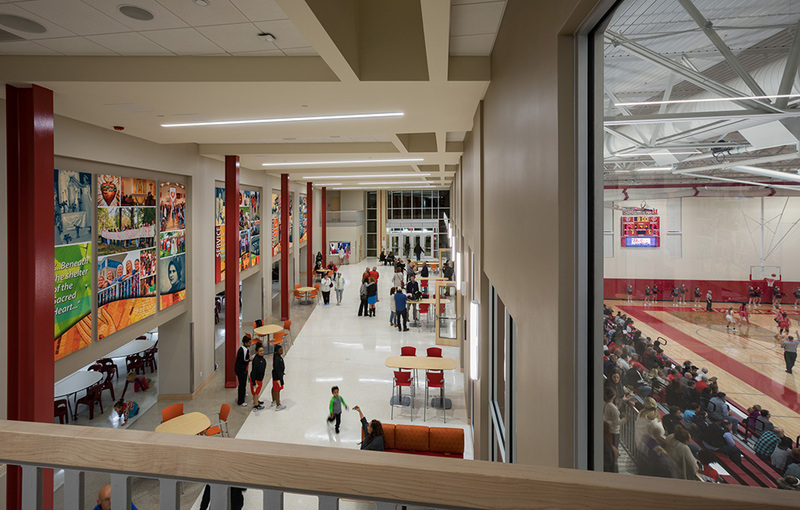 The new Student Commons was built in an open space between the new addition and the existing school building, and overlooks the new Gymnasium. 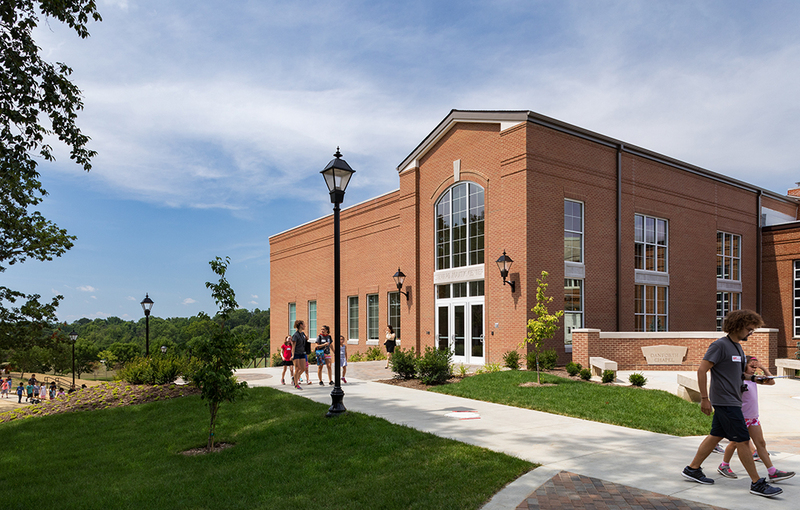 It also includes a new multipurpose space as well as offices for the athletic department. 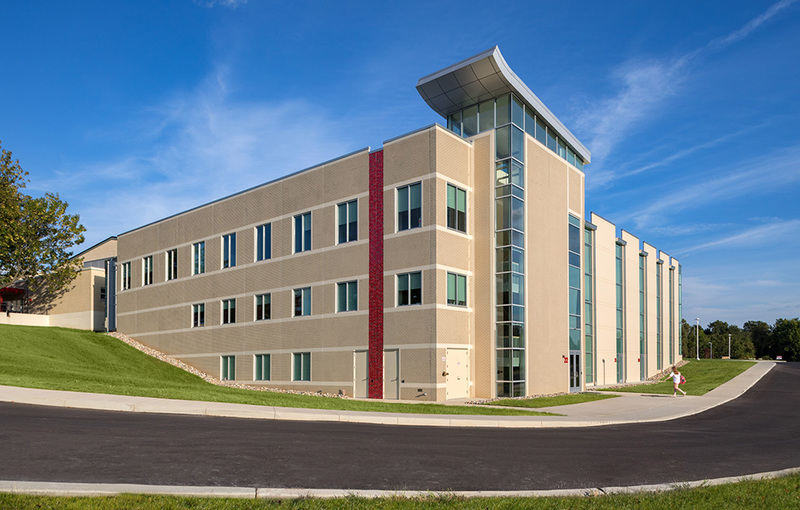 This serves as a designated community area for students to gather, meet with faculty and collaborate in study areas. 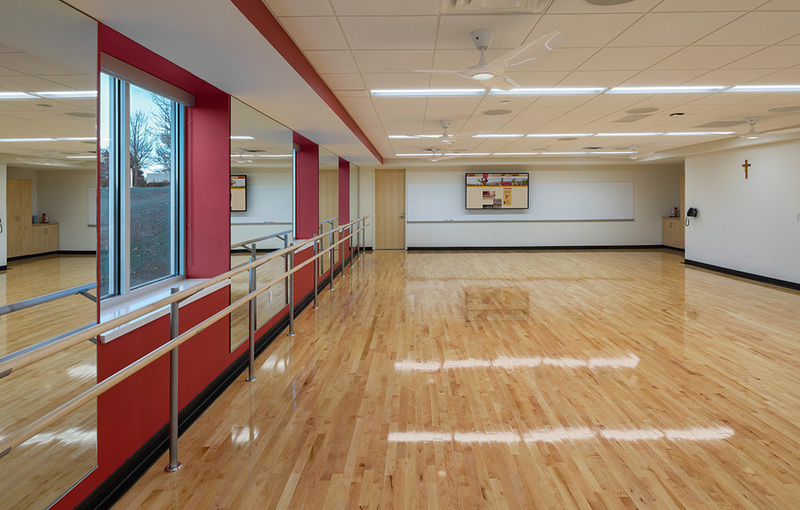 The school’s signature red color and natural light from skylights and floor-to-ceiling windows permeate the space. 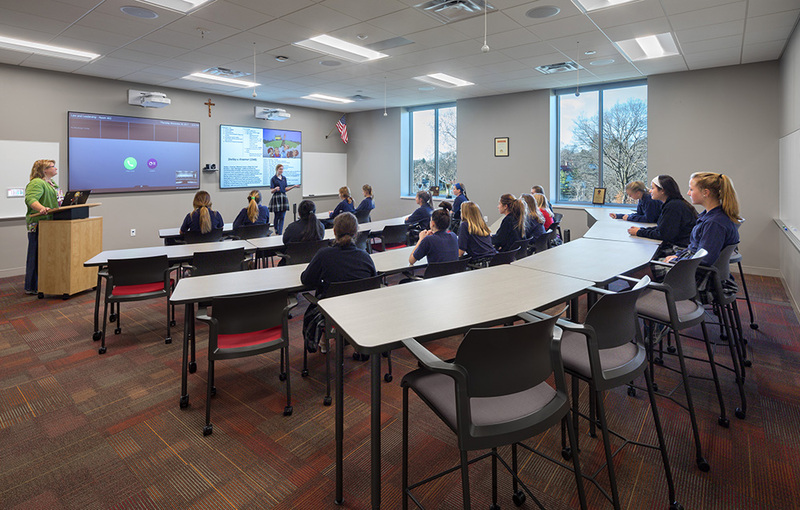 New classrooms with flexible furniture and integrated technology are on the upper level. 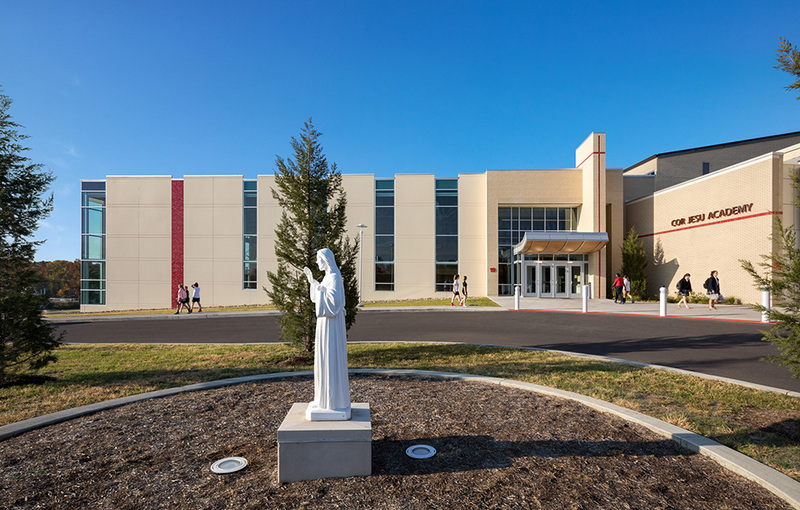 The new Gym and Student Commons addition allows Cor Jesu to fulfill its mission of educating the whole person in spirit, mind and body.